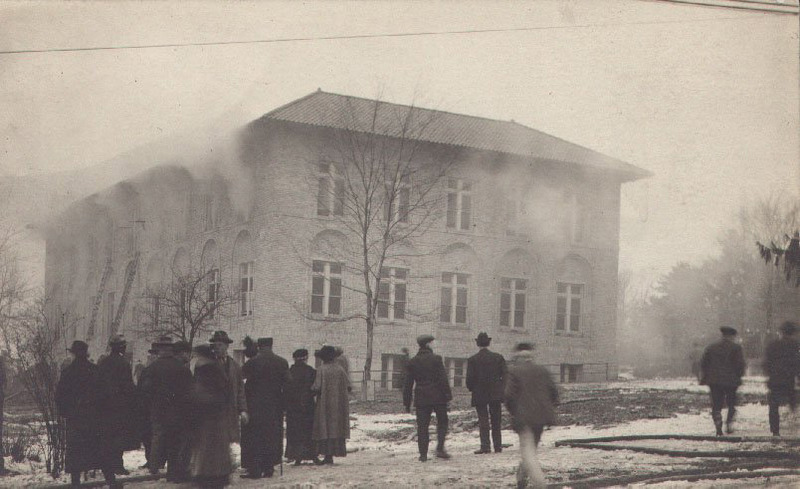 On January 15, 1915 Alden Hall, home of Allegheny’s chemistry and biology departments burnt down in a devastating fire. The college lost thousands of dollars, and was unsure of their next step when Andrew Carnegie decided to donate $40,000 for a new building with only the condition that the college provides $20,000 for the maintenance of the building. 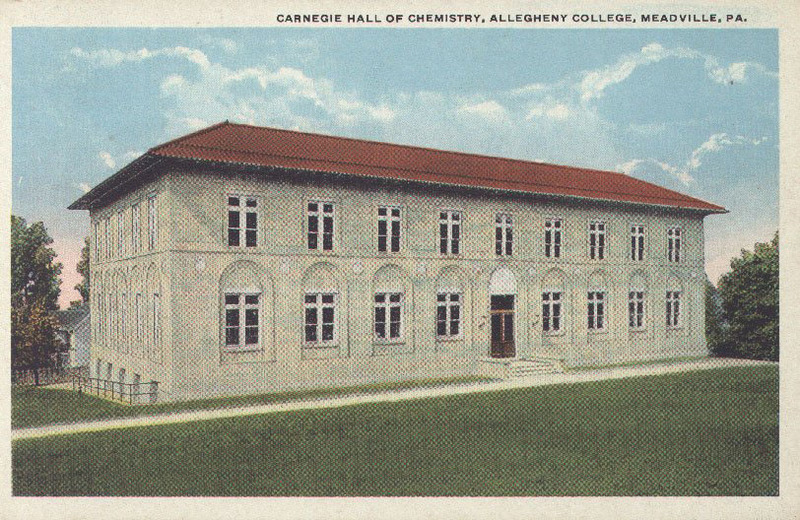 The college agreed, and thus began the construction of the Carnegie Hall of Chemistry. The new building had many specific precautions in order to secure it as a “slow burning” building. Other provisions such as making the interior and exterior walls out of fire proof blocks, and having the supporting structure made out of steel guaranteed a safer building for advanced learning, according to the Meadville Tribune. 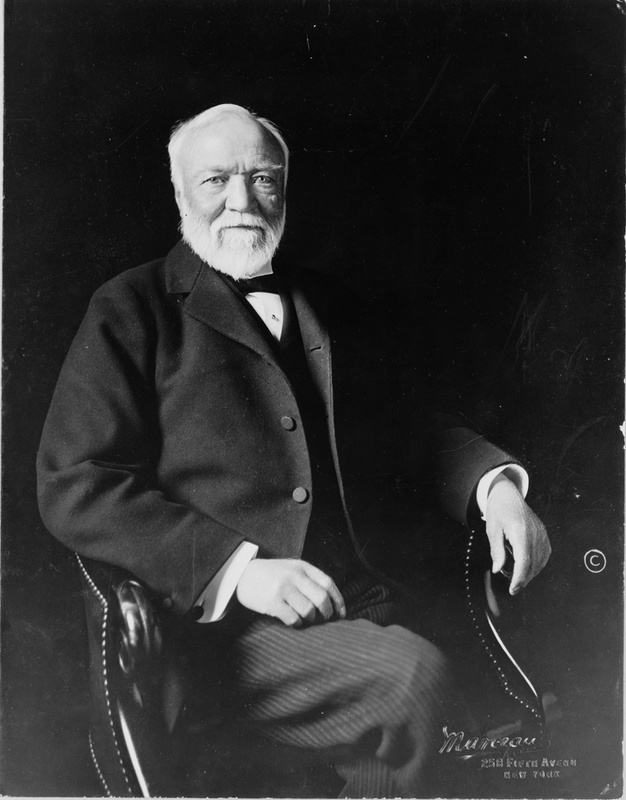 Carnegie was one of the first people to openly demonstrate his beliefs that the rich are morally obligated to help provide for people in poverty. In The Gospel of Wealth, he stressed the need for the smart distribution of wealth. He believed that giving a community means in which to thrive is far better than simply donating money. Funding libraries, universities, parks, and even trust funds were ways to enhance communities. Founded in 1906, the Carnegie Foundation for the Advancement of Teaching's mission was to fund research and aid higher education. Through this foundation, Allegheny College and Andrew Carnegie were allied. 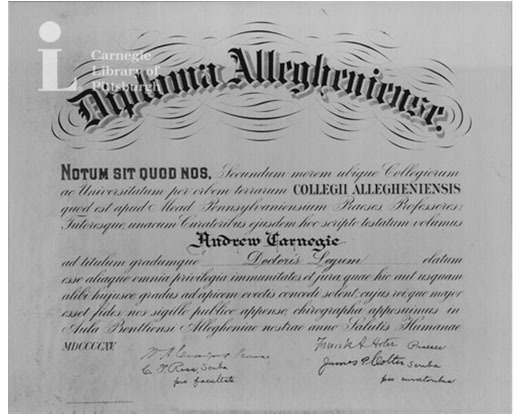 Allegheny College granted Andrew Carnegie with an Honorary Doctor of Laws Degree in 1915 as a way to honor Carnegie due to his generous philanthropy. With Carnegie’s donation Allegheny was able to bloom rather than crumble when the fire struck the science building. His philosophy and philanthropy has not only opened doors for people to better themselves, but has also given people hope and inspiration. The building was completely renovated in 1965 by Stotz, Hess & MacLachlin, at which time stairwells were added at the east and west sides of the building, improving access and safety but disrupting its original silhouette and proportions. To keep this heavily trafficked classroom building up to date, interior spaces continue to be enhanced. 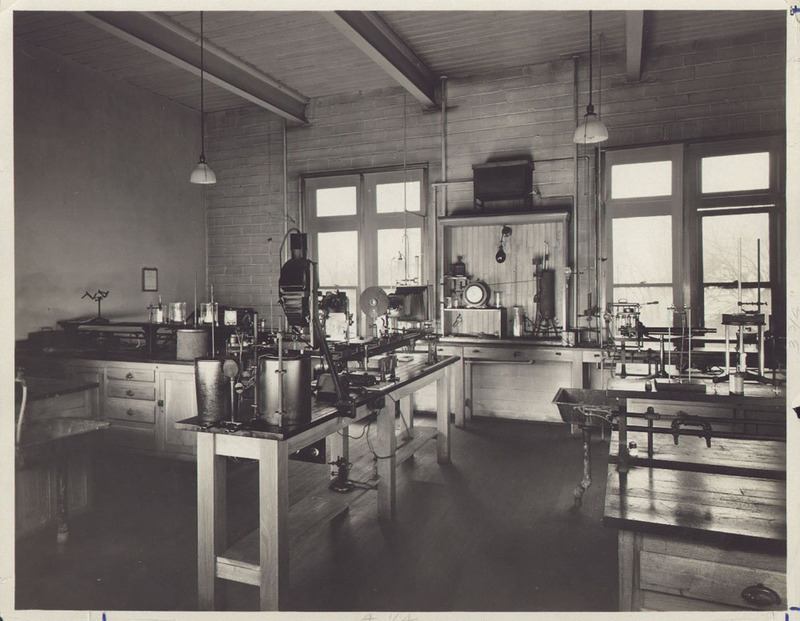 In 1991, the building was renovated once again by Hunter, Heiges, Sabo, Douglass, Rogers; and a few years later an interactive, technologically-enhanced learning environment, as well as neuroscience laboratories, were added. Meghan Veglia, “Carnegie Hall,” NW PA Heritage, accessed April 26, 2019, http://nwpaheritage.org/items/show/14.